The Maine Arts Education: The Measure of Success conference will provide a full day of professional development with an afternoon of two-75 minute sessions where you will be able to explore two topics at a deeper level designed for everyone in the arts education community. The format is unique to meet the needs of multiple learners. Below are the workshop titles, descriptions, photos and bios of the workshop presenter, and a 1-minute video with more information about the workshop. Each workshop is being presented twice during the afternoon for 75 minutes (each). During the morning all participants will be presented a FIVE X FIVE which will consist of 5 minute presentations, 5 images from each of the nine workshop presenters. This will be an opportunity for you to learn about more than just the two topics that you select to attend during the afternoon workshop scheduled time. In addition, to the workshops all resources will be provided online for anyone to access. The workshop topics were selected based on the feedback that MAAI has received from the thousands of teachers who have attended other MAAI workshops/conferences/summits in the past. Please select two workshops, one for each Breakout Session. Breakout Session 1 – 12:45-2:00 p.m.
Breakout Session 2 – 2:15-3:30 p.m.
Theresa is originally from Philadelphia. For the past 9 years she has been teaching visual arts in Northern Maine. She is continually tweaking her teaching and checking in with students in her K-12 classroom, which is primarily Choice-Based classroom. Theresa has been an MAAI Teacher Leader since 2014. Janie has been teaching grades K-8 art education in Washington and Hancock Counties for 22 years. Janie received the 2014 Middle Level Art Teacher of the Year by the Maine Art Education Association. She has been an MAAI Teacher Leader since 2012. At the center of Janie's belief on successful teaching is: ART is for ALL STUDENTS and PROFESSIONAL DEVELOPMENT is ESSENTIAL for ALL TEACHERS. 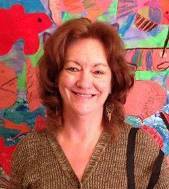 Jennie is a Board Certified Art Educator teaching at Brunswick High School with 26 years of experience. She has been an MAAI Teacher Leader since 2011 and, has presented at numerous state and regional conferences. As a practicing artist, Jennie creates paintings, drawings, photographs and jewelry inspired by organic forms. Jen is a teacher at York Middle School and has been an MAAI Teacher Leader since 2013. She has just completed a Certificate of Advanced Graduate Study in curriculum and instruction at the University of New England and is very excited to work with other arts educators at the statewide conference! John Morris is a dancer, educator and teaching artist. Additionally, he has a background in large-scale arts assessment and creativity research. Born and raised in Maine, John has recently returned after living in New York City for many years, as well as spending four years in the Shetland Islands in the UK. 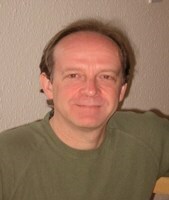 When not focused on dance, John works as a personal development coach. Jennifer has been teaching jazz band, band and general music in RSU 19 for 7 years. She performs violin in the "Opus Trio", is a private violin instructor, and works as a Southern Maine Strings Camp counselor. Jen has been an MAAI Teacher Leader since 2011 and has co-led a series of webinars for the Maine DOE's Cross Discipline Literacy Network. She has been the Arts Representative on the TIF 4 Grant Steering Committee, as well as serving as Music Leader on the Proficiency-Based Curriculum Development Steering Committee. MaryEllen has a BS from UMass, Amherst, an MEd from UMO. She has been active in the dance education community for almost 40 years, co-authoring the Maine Dance Education Curriculum, and doing work for Maine DOE, Maine Arts Commission, MAHPERD, and choreographing for several area community theaters. 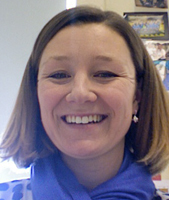 MaryEllen teaches at Bonny Eagle Middle School and has been an MAAI Teacher Leader for 5 years. Dr. Beaudry, Associate Professor in Educational Leadership, has a blend of academic and educational technology. He has an associate degree in scientific photography and worked for six years experience as a medical-scientific photographer. 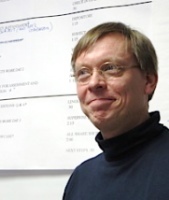 In 2015 he co-edited an article, The Maine Arts Leadership Initiative: Uniting Assessment and Professional Development in Arts Education, and co-edited a book, Cases on Teaching Critical Thinking with Visual Representations, a compilation of teachers’ practitioner research on the use of mapping to improve student outcomes. His current interests include assessment literacy, multimedia, and outdoor learning. Jeff has served on the MAAI Leadership Team since 2011. 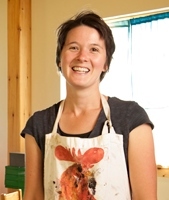 Lindsay is director of Sweet Tree Arts L3C and founder of Sweetland School, a Reggio Inspired Arts Integrated program in Hope, ME. She has been teaching in the arts and alternative education settings for the past 15 years. 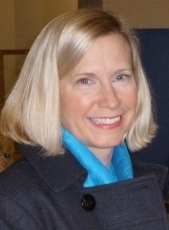 Pinchbeck gained her Masters in Education through Lesley University's Creative Arts and Learning program and received her undergraduate degree in Art and Music from Colby College. Creatively she works as a print maker and photographer. Lindsay believes art can be shared by all ages and all abilities on many levels - we create as active participants, engage as observers and share experiences together that enrich our lives and build empathy when we explore the world through the arts. Catherine is Executive Director of the New England Institute for Teacher Education and is a former school principal and visual art teacher. Catherine is a founding member of the Maine Arts Leadership Initiative. She completed her Education Leadership studies at the University of Vermont and received her Master of Arts from Vermont College of Norwich University. For her thesis, entitled “Education and the Arts, Toward Creative Intelligences,” she researched the role of the arts in learning and has worked closely with classroom teachers, helping them to integrate the arts. Kate is the elementary music teacher at Central School in South Berwick, Maine. She has been an MAAI Teacher Leader since 2014. Kate is the 2014 York County Teacher of the Year. Kate's interests include arts and technology integration, school gardens and hiking. Dan is an educator by trade, generalist by practice, and a 16-year veteran English teacher and improv coach at Mt. Blue High School in Farmington. He is an adjunct instructor at UMF, and presents workshops on technology integration, improvisation and design thinking. As co-founder of the education podcast and blog Wicked DecentLearning, he can be followed on Twitter @wickeddecent. Dan’s improv skills can be seen on display with Teachers Lounge Mafia Impro. Rob is the choral director at York High School and a founding member of the Maine Arts Leadership Initiative. He has worked extensively with arts educators and school districts across the northeast developing customized assessment strategies and proficiency based models of instruction.